Why should you get an FNB Standalone Petro Card? The Petro Card allows for contactless card payments; just wave your card at the point-of-sale device sensor and your card is debited. This mode of payment is used currently for low value purchases. It is four times as fast as conventional card transaction at the POS, which means you spend less time at supermarket queues. 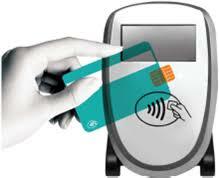 Several merchants have made provisions for the contactless Petro Card. How does it work? The special chip and antenna built into the card allows your account information to be retrieved over short-range radio frequency. Multiple layers of security have been invested into this technology to ensure you can transact with complete peace of mind.The transaction happens without you having to enter your PIN. However, some merchants will want you to sign the generated receipt for verification. For high-value transactions, you will need to input your PIN. The Petro Card comes with a microchip that is next to impossible to duplicate. In addition to this, user will be required to enter a PIN for high value transactions, which means unauthorised users will not be able to transact. It is a fact that we don’t all have the same financial ability. Streams of income may fluctuate for business people depending on seasons. In recognition of this fact, FNB has introduced personalised interest rates for its Petro Cards instead of a rigid flat rate. AA Emergency roadside assistance: Whenever your car breaks down on the road, you don’t need to worry. Someone will come and help restart your flat battery or refuel you for up to 10km. Even if you have locked your keys in the car, you will be sorted out in no time. An AA tow vehicle will move your vehicle from the scene of an accident in the event of such an occurrence whatever time of day or night it happens. Security: You can request for additional extras to this service such as an armed security guard to remain at your side as you await rescue. What do you need to get a Petro Card? Proof of residence, such as a utility bill. There are two ways you can complete the application process for a Petro Card. You can go to your nearest branch and ask for the form as well as any assistance you need to fill it. Alternatively you can fill the simple online form, which guides you through the process step by step. ← What do You do When Your Credit Card is Lost or Stolen?